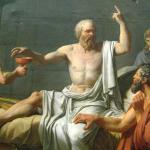 SOCRATES, WHAT IS TRUTH? SOCRATES, WHAT IS JUSTICE? SOCRATES, WHAT IS THE NATURE OF THE GOOD? 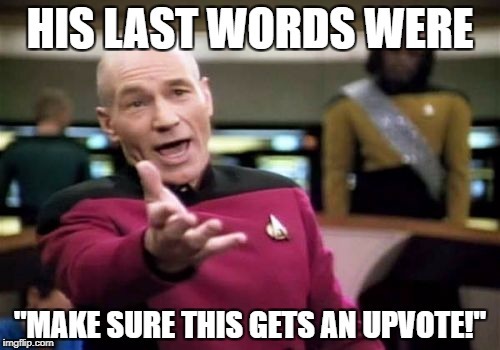 SOCRATES, WHAT SHOULD I ORDER? SOCRATES, WHAT ARE YOU HAVING? 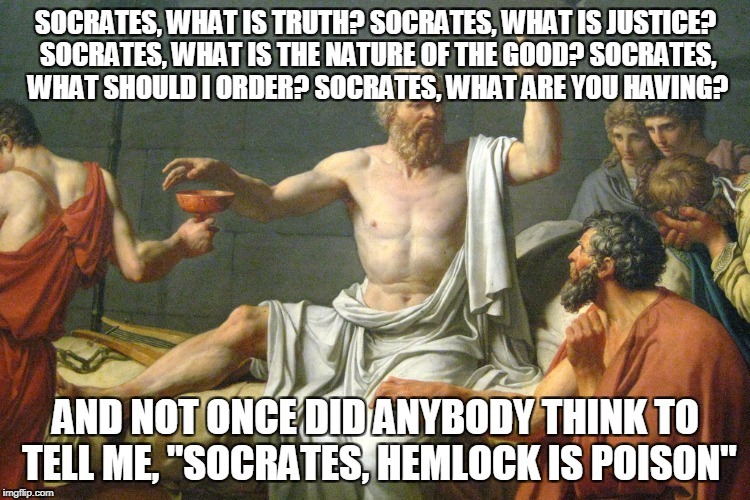 AND NOT ONCE DID ANYBODY THINK TO TELL ME, "SOCRATES, HEMLOCK IS POISON"